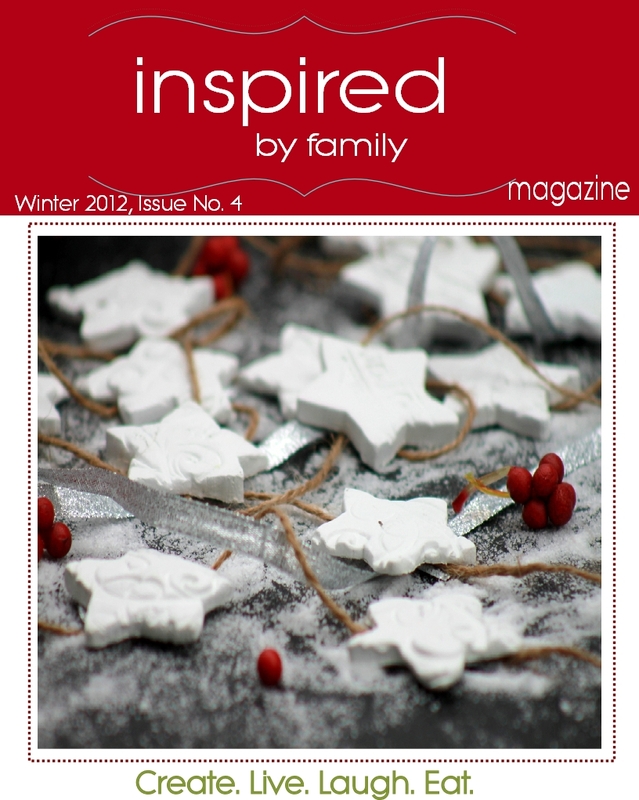 Many of you know that apart from this blog I am the founding editor of Inspired by Family Magazine. Today is our 1 year anniversary so we want to share with you the fun. Seriously, I had no idea what I was getting into when I kicked off our e-zine but God gave me the courage to move forward and so I did. Twelve months later, I am so thankful that I did. This journey has stretched me beyond belief. I have crossed paths with many beautiful and creative bloggers. It has blessed me to read your comments on how something you saw here encouraged you. So I am thankful for this journey I have embarked on and I am mostly thankful that I don't walk it alone! I encourage you to dream and live out your hearts passion that honor your family, God and yourself. Sometimes our dreams are put on hold because the phase of life we are in and the responsibilities we have but whatever you do, don't let that keep you from dreaming. Instead baby step towards your dream and find small ways for your creative outlets. You can stop by and read it in full over here. 1. Our Holiday Issue: The Spirit of Christmas. It's our online flip-page magazine and it's filled with recipes, kid crafts, home decor, fashion tips, inspirational articles, Holiday gift guide, handmade gifts and so much more. The handmade gift items above are featured here. All FREE for your viewing pleasure, Winter Issue. 2. Giveaway! 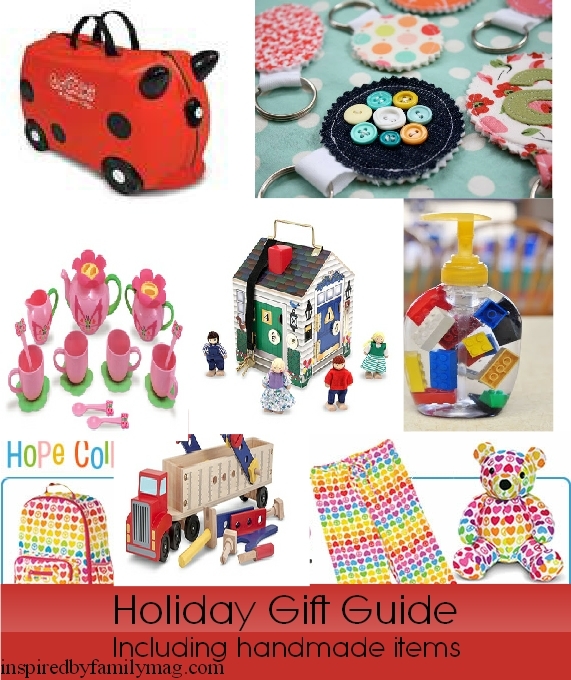 Our fabulous Melissa & Doug Giveaway! You can choose from any of their top 20 toys if you win. Stop by here and peruse their wonderful collection. You can also stop by their Facebook page and enter to win daily. How you can enter to win! On November 27th we will announce the winner. Please leave a legit email so we can contact you. The email from us will say: Melissa & Doug Terrific Twenty . You must have a U.S. shipping address to qualify. The Rattle Rumble Push Toy is my favorite! I love the recipe for the Alfajores Caramel Sandwich Cookies. I like the Elvis Lion, so cute! Keep up the great work with all that you do!